OK, so Christina Aguilera botched her shot at history with her Super Bowl National Anthem flub. But all is not lost, America. We still have Elizabeth Hughes. 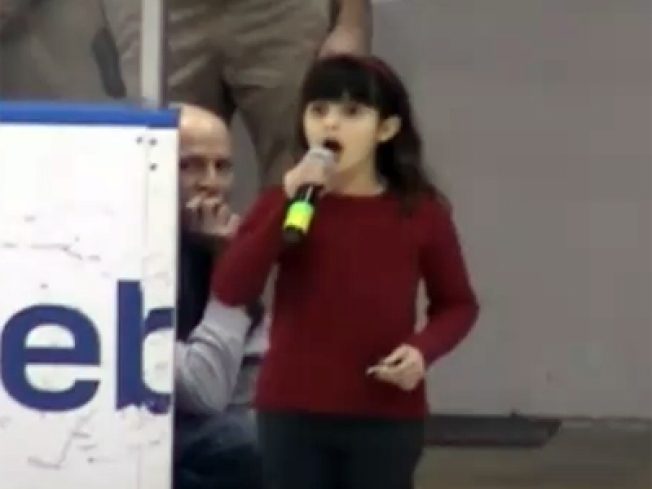 You may remember the 8-year-old's story from last month, when her mic cut out while she performed during a Norfolk Admirals minor league hockey game. The crowd (minus one cackling woman) helped by finishing the song with her, providing a touching moment that was profiled by Puck Daddy's Greg Wyshynski and was subsequently viewed millions of times on YouTube. Elizabeth was promised a do-over by the team, and that's exactly what happened over the weekend. And this time, she hit the high notes with ease without any pesky mic problems.